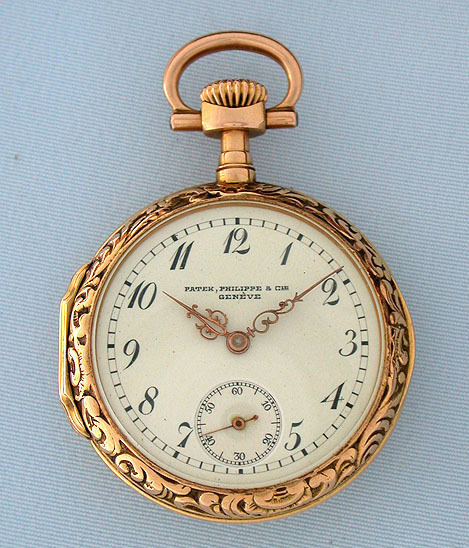 Fine and scarce Patek Philippe 18K gold repousee ladies antique pendant watch circa 1900. 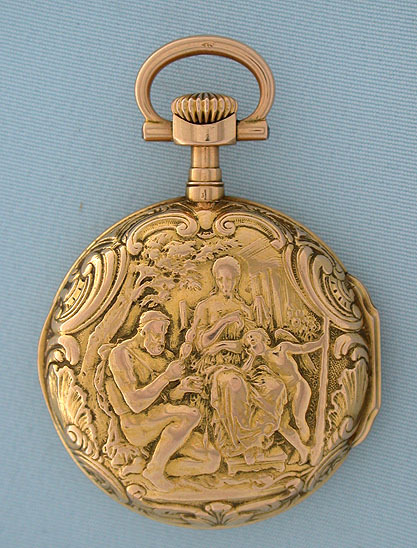 The case back repousee with a scene of Hercules and Omphale in a garden within scrolling borders, with light even wear. 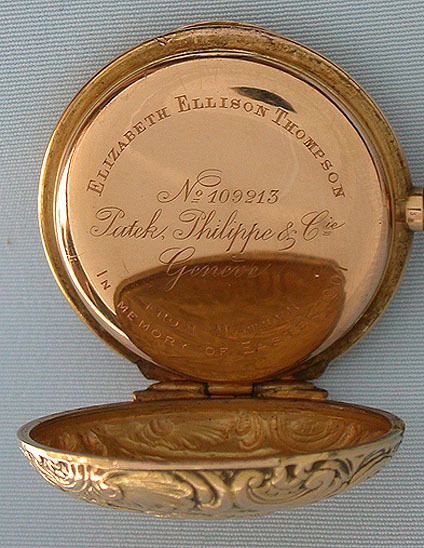 The front bezel with a similar design. White enamel dial with fancy gold hands. Gilt 21 jewel movement with "moustache" pallet fork and wolf's tooth winding. 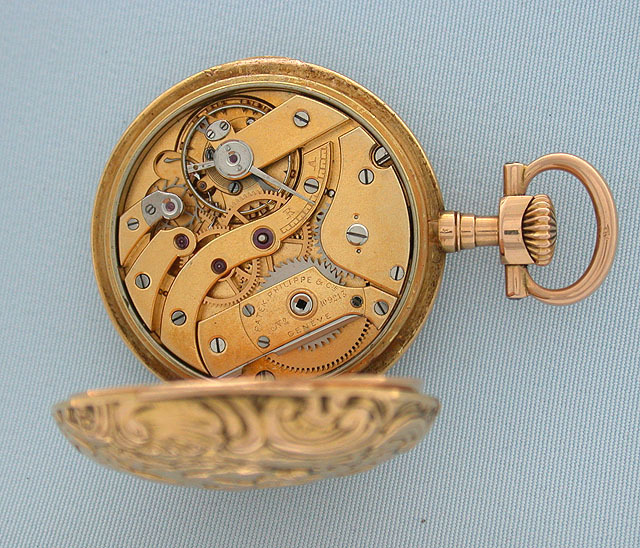 A lovely watch made in the style of watches from around 1800.